Warm greetings to each of you! It is time once again to report on our life, activities and thoughts over the past few months. The summer is almost past. The first autumn crocus appeared in our garden. It always happens after a few days of colder, rainy weather. I begin this letter with plum juice deeply imbedded around my fingernails, difficult to remove even with several scrubbings. We freeze most of our fruit from the garden to make jam in small quantities later. This year I discovered a recipe for plum chutney and cooked up a batch of that as well. Before giving you the usual account of our activities over the last six months I want to mention a couple of things. Firstly, I shall be in the US in November to introduce my new book “The Innocence of God” in various locations. The book will be available on October 1st. I shall start in Minneapolis at the MacLaurin Institute, where I am the Francis Schaeffer Fellow, on Nov. 2nd and fly to Chicago on the 6th. Other times and places are in the planning stage in Denver, Austin, etc. Secondly, we decided to welcome people for shorter or longer stays with us for discussions, interaction and study of lectures whenever we are at home. That will vary with the time of year and depends on our schedule for other speaking engagements and trips. But instead of having a study session only in summer, we will have two or three in the course of a year. If you know of anyone interested to spend time with us shorter or longer they should contact us with possible dates. We shall coordinate things from there. Thirdly, Samantha and Gregg adjusted their life in Nyon to the arrival of Gaston Felix Briarcliff Cavaco on August 17. We are delighted with this little boy, our sixth grandchild. Naomi and Micah expect their first towards the end of October, and then there will be seven! Wonderful! I continue to preach in several churches when I am home and invited to do so. The group in Leysin, about one hour from us, meets early Sunday morning in the beautiful village church with a wooden barrel ceiling. Beautiful verses are carved into the main beams. They remind us of the grace of our Lord and admonish us to be truthful. The International Evangelical Church of Lausanne meets at noon in the center of town. A few times this required me to do two services back to back. We all go, including Mrs. Schaeffer, who continues to live with us under our care in her own apartment. Whoever else happens to be here comes along as well. In early March I spent a week teaching my course on apologetics once again to French Pastors in Geneva. The class was much larger this time. We had good discussions outside the formal class times as well. It was well received and should help them present a more coherent understanding of Christianity to a public that has widely given up the hope to hear anything accessible and true in church. Just as much a hindrance is the assumption that God’s truth and grace are couched in spiritual language and does not relate to reality, creation or history. In fact most people seem to assume that God’s word opposes the human mind and invites people to an irrational experience rather than being a description of what is true about God, Man and life. I brought that same material, condensed this time, also into a class on one day at a Bible Institute nearby. Towards the end of March I taught at a study center in Germany, run by a family strongly influenced by Dr. Schaeffer’s ideas. The invitation came through their two daughters who had previously been students with us. Their father, a classics teacher, listened to my German translation of “The Innocence of God” and had been so much encouraged by its content that he organized the weekend. They presented their choice of subjects, and I followed along. Each lecture and discussion was based on a different Bible verse: Colossians 2,3 tells about truth and wisdom in the historic Christ, rather than in impersonal nature, invented deities, secret knowledge or ideology; Galatians 5,11 talks about the freedom we have in Christ, from sin and guilt, from death, from fear, from ignorance, uncertainty and from a shadow existence; 1st Peter 3:15 urges us to give a reason for the hope we have, which appeals to the mind with content as well as to the whole person with a measure of observable reality: the peace, confidence and courage that come from knowing God; and then Galatians 5:6, where Paul teaches that “the only thing that counts is faith expressing itself through love”. Paul contrasts the external rules of religious practice to a life of love informed by what we believe: about God, human beings, history, work, instruction: all those things that make up a life lived under the Lord of the universe. This is no contentless love, no life controlled by feelings alone, no foolish generosity about the errors of others. It is caring love that counters the effects of sin in all areas of life, like ignorance, loneliness and despair. I spent a stimulating day with students from Pepperdine University, which has started a study program in Lausanne. Mike Sugimoto, who lived with us for five years and later helped the Schaeffers when they moved to Rochester, will be Pepperdine’s visiting professor this coming year. Using elements from the history of the city (the remains of the Roman port by the lake, the medieval houses in the city, the cathedral and the statements of freedom and law) I drew attention to the way people saw their life and work, their religion and society at various periods, and how that changed with the coming of Biblical Christianity. We stood for some time before the painting of “Justice instructing the nations” by Paul Robert. The woman representing Justice has her sword pointed to an open book, which is clearly marked “The Law of God”. We compared that to the market fountain on which the justice figure controls with objectivity, blindfolded, all kinds of litigants, including men of the church and secular rulers. We also discussed the statement on Pierre Vinet’s statue that “Christianity is the seed of liberty around the world”. It took some time to show how true that proclamation is, as some of the students thought that Marxism, for instance, also gave liberty in the form of free medical services, education and cheap rents. You can imagine that I explained to them that such freedom was only for the elect and at the expense of the exploited labor from millions of prisoners, underpaid laborers and the expropriation of the whole middle class. I could not let their view stand unchallenged. Debby continued into June her catechism classes in Gryon – she has all the 4th and 5th grade children coming to our house once a week in two separate hours – and used the Jonah story to talk about God, human beings, the Fall and its effects, the reasons to believe God, and consequences in history and people’s lives. They talked about the significance of good and bad choices to change situations and people’s lives. The children love to hear and learn, to discuss and to recognize the practical consequences of what and why one believes. Most come from non-believing families, and this is the only time they hear something from the Bible about God, sin and imperfection, the work of Christ and the reliability of God’s word. Unfortunately, if they later go to church, they will only hear about lofty feelings, good will, and that The Lord’s prayer says the same things as various prayers in other religions! Please pray for these children as they grow up in a non-believing context and will be poorly prepared to discern truth from folly, a good life from one controlled by sensuality (Ephesians 4: 17 – 19). In June and August we had a few students with us, discussed Christianity and culture over long meals and visited Martigny nearby once again as part of our studies. We also spent time with visiting friends of our work in the Foundation. In July we went to our beloved spot on Elba to rest, swim and read. Natasha and her family shared the beach with us, which gave us lovely hours to be with the grandchildren, take the boys out swimming until we could see the remains of the Spanish fortress on the hill around the bend of land. The time was briefly interrupted when I was asked to take the funeral in Gryon for André Gandur, our beloved family doctor and friend. Debby and I had seen him a couple of times recently. We even took Edith Schaeffer with us once to see him one more time. His health was failing, he was blind on one eye and could no longer hear properly. He was alone, almost abandoned by his family, in a hospice. His wife had died three months before, and he could no longer read or listen to music very well. He was depressed, understandably so! Debby and I spent two hours with him the night before we left on vacations to pray, sing and talk with him. The next morning he heard he had died and that he had wanted me to take the funeral. I returned from Italy for two days and preached in the village church, this time packed with locals and friends of his family, in both French and English. I read the Scripture we had read to him and talked about how he had come to Saturday night discussions forty years before and had become one of the few friends of Dr. Schaeffer. He came to church at times, never missed the local Christmas Eve service and continued to join us in Les Posses when our church was forced to leave L’Abri. Dr. Gandur had come to believe, finding in the Bible that answer to which the turmoil of his own background and life had urged him. He was from an Italian Jewish family, born and raised in Egypt, married to a Greek from Russia, forced to study in Egypt instead of Italy when Fascism surfaced everywhere. When he came to Switzerland he had to study medicine all over again. But only here did he feel “least a stranger” as he ministered to local farmers and foreign residents, though few of them related to his artistic and philosophic interests, which he had with the Schaeffers and us. At the very end of July Debby finally had an operation on her left hand to repair a thumb joint. A piece of the bone was removed and the thumb attached to a tendon from higher up in the arm. Arthritis had become much worse, and seeing in Edith Schaeffer the results of not operating helped us to go ahead. The thumb will remain immobile for at least two months, keeping her unable to work at school. We explain to people that it is all a part of fighting for life rather than letting nature rule. What is natural is not in itself good. There has been a fall and the effects of sin need to be resisted to make life more possible. It is surprising how often people have not thought this through and accept declining health, appetite, mobility and even mental capability as normal, natural and unavoidable. At the end of March we all traveled to the US during Debby’s spring break at Aiglon College. We again gratefully benefited from the hospitality and warmth of the Kemp family in Washington. We spent time with Isaac in College there, and then drove to NY for a lecture and discussion. We enjoyed Hannah and Seb with their Gabriela on her first birthday, which we celebrated along with Easter en famille. We attended Madison Avenue Presbyterian Church for a wonderful, enriching and beautiful Easter service. The scriptural, thought-provoking and carefully studied sermon was framed by carefully crafted and believed liturgy. Easter is about more than Christ’s resurrection. It is about the first evidence of the future final victory over death, the first-fruit of a fuller harvest. Debby and I then drove across several states to Bowling Green, KY, where we visited briefly with very good friends for more than 40 years. In St. Louis Isaac joined us for a weekend with a very special couple and their family. We had all been young together and have followed with much pleasure our lives, readings, children and grandchildren. They had been such an encouragement to us when we lived there during our early years together. Since then we have wept and worried, but also laughed, argued and rejoiced together. St. Louis was also the place where Isaac flew us, his parents, for the first time in a small plane to Sikeston, MO, to have lunch at Lambert’s Restaurant, famous for its “throwd roll”(no kidding!). It is a local, even perhaps a national institution, one of those crazy places, fun to visit once, but also a bit ‘off’ because of its play with food and rowdy crowd in what appears to be a barn. Rolls are thrown across the large dining hall whenever you raise your hand. They are worth catching, but many customers seem to have caught too many on earlier visits. Their bodies show it and match the size of the mugs you drink from. But still, it was fun. Flying with Isaac was for us a wonderful experience, safe, fully explained, skillful. We flew low over the familiar streets of St. Louis County, then the Mississippi, turned over Cairo, IL and later returned across the rolling hills of Southern Missouri. I was deeply moved by the confidence and skill my son exhibited, his radio interaction, the smooth landing. Fantastic! On our drive back East we heard about the terrible shootings at Virginia Tech and sorrowed with the people there. We thought about the problems of maintaining personal rights to privacy and the public right to safety; the constitutional right to bear arms (from a time when few governmental structures were in place) and the fear of the easy availability of guns; individual rights and the loss of social restraints; the confusion between genuine psychological handicaps and being seen as ‘differently talented’; or the question of public interest in someone’s clinical state: should there ever be a limit to the patient’s bill of rights to privacy? These and other questions of course relate to a culture’s self-identity, where evil exists on all sides, where human beings are not automatically healthy, trustworthy or reliable. It is not as simple as saying that the government is evil and out to get us, while the individual is fine and only eager to live his own life. There is a danger of seeing a force with evil intentions whenever one’s selfish expectations are curtailed. Precisely not! We live in a world of broken human beings and need restraints, whether moral, physical, electoral, judicial/legal, philosophical or evidential, as individuals or as a nation. We listened to the memorial service after the shooting. The clarity of the various viewpoints intrigued us. Government and religious people spoke to the events, each presenting a specific angle on this tragedy. We noted with interest the differences between them. The President of the University spoke well in general terms and grieved over this horrible event. He promised better things in future in an attempt to heal a wounded body. The governor of Virginia and the President of the United States clearly spoke from their Christian perspective about a horrible tragedy, not coming from the hand of God or an expression of God’s will. They spoke compassionately and sensibly about the abhorrence of this crime, their reactions informed by the Bible. The remaining comments came from religious groups and teachers on campus. The Hindu spiritual teacher presented his cycle of life version. The Jewish Rabbi read the famous passage from Ecclesiastes that there is a time for everything. She implied that there was also a time for this tragedy, that such is life, and that belief invites acceptance of these seemingly opposing things, which each have their time in human life. Incomprehensible though this may seem, it is God’s way. Incomprehensible is not God’s way, but rather why this Rabbi did not recognize this passage, cited in the midst of painful and absurd situations in life, in the context of Salomon’s description of life “under the sun”. By that he means that if all there is between birth and death consists of what we observe, then everything is vanity, contradictory and without either explanation or resolution. How the Bible, God’s word, treat such things and events differently! We are not left with observing what takes place “under the sun”. God has revealed more in his word and sets a wider stage of creation, fall and redemption; of past history now spoiled and of future history to be restored. From that vantage point the passage from Ecclesiastes teaches that all these various opposing things and events are not to be taken lying down, by faith, in acceptance as sovereign acts of God. Instead we must judge them, work against the evil ones, and oppose what is wrong and marked by death and damaged by rust. The God of the Bible is not the author of all things, neither even pleased with all things people do or the way history unrolls. Neither Jew nor Christian is called to lie down and to “go with the flow”. The Rabbi at VT presented something more like a Muslim or Hindu view of things than a Biblical perspective. For, the Muslim Imam also spoke and tried to comfort in similar words. Initially he spoke of the tragedy, the sadness, shock and horror of the killings. It sounded so unlike what I expected. I was at first pleased, thankful for at least that much: the abnormality of things in a fallen world. But then in the middle of his meditation he changed dramatically, ending in fact with the proposition that “we all come from Allah and to Allah we all return”. Two things strike me in this all too common perspective. The first is the similarity of this view to the Eastern religions about the great ONE, the final unity of all being, which dissolves all significance, all distinctions, and in the end makes everything impersonal and amoral. There is no more right or wrong, nor more you and I, no separate identity: all is already ONE, good, well and according to design. Christian mystics in the past have often seen eternity in similar, non-Biblical ways. They anticipated that the finite merges and becomes one with the infinite, a person losing himself in God. The second thought is that if all come from Allah and return to him there is no tragedy in life, nothing ever wrong or out of place. It all runs according to the program. Just like when everything is a work of God’s sovereignty. Happily the Christian witness at VT was different from these views. The Lutheran college pastor spoke of a tragedy that was not willed by God, a terrible and sad act of a damaged human being, a tragedy for him and his family as well. Any hope is in the work of God, who through Christ offers salvation from guilt and the resurrection to life eternal through the power of God, shown in the resurrection of Jesus. At the end of that day we had the real joy of a short visit with Jane Stuart Smith and Betty Carlson in their home in Roanoke. We arrived unannounced, but their hearts were wide open for us. What a pleasure to see them again after having worked with them for so many years in the past. After three weeks Debby flew home to start teaching again at Aiglon College. I responded to an invitation from Westminster Presbyterian Church in Amarillo, TX, for a long weekend of lectures, preaching on Sunday, various meals with members and friends and a Monday night public talk with discussion. I was pleased with the response, meeting people with curious minds, many questions and often little familiarity with our way of seeing things. It was a delightful, constructive and beneficial time. Marvin and Jean Padgett had me in their home in Wheaton for a couple of days. I spend time in Wheaton’s archives, visited an old retired friend from my work with Food for the Hungry, lunched above the fog with friends and former colleagues Gary and Cynthia, who just started their new assignment with Food for the Hungry. For me it was deeply satisfying to see how the ideas about relief and development, which I first taught in that context to volunteers and indigenous employees, continue to bear fruit, how others expand on them and how effective they are in the lives of so many people around the world. The same publisher, who also publishes the “Innocence” book this October, will publish them next spring. The book contrasts a Christian understanding of life in the real world with the power of religions to prevent such a life. The call for enterprising efforts in our engagement with life is contrasted to the submission to commanding religions, cultural practices and traditions elsewhere. I flew to Los Angeles next for a number of speaking responsibilities. The first setting was a faculty development seminar for two Christian community colleges in the East Valley. They not only draw students who would have difficulties to enter regular 4-year colleges, but also give them a foundation for their studies and life in the Christian focus of their courses. On Sunday I spoke in two contrasting churches, one large and the other a house church. My time there concluded with a public lecture (“Taming the Beast Within”) to admonish us not to focus primarily on gaining political power to determine the laws and culture of our society. We had the weight and influence to do that in the past less from a political and social program than from people willing to “tame the beast within”, i.e. to be accountable to God and neighbors, to reason and responsibility. More people believed then a more substantial Gospel and consequently shaped the mores of society in a significant way. Today the focus on personal views, rights and faith has far outpaced the affirmation of a common truth, reason and realism. The consequence is that more people seem to justify their own “thing” and end up destroying the very notion of truth, community and public morals. Even with many Christians present there is little awareness of a core belief about life, society, law and responsibility to truth. Instead, each person wants to retain the freedom to decide on his and her own. Liberating the beast is of greater concern than taming it. Creating a society from individualists requires greater honesty on the part of each person to know and affirm what is moral, reasonable and truthful. The Ten Commandments help us see the realism, truth and practicality of life as God instructs us. They are not given to serve as trip wires to test obedience to some religious authority or faith. They are instead the more detailed elaboration of the reality we live in. They expand on the Great Command and call us to love God with all or our heart, mind and soul and to love our neighbor as ourselves. They remind us of the kind of world God created and how we should live in it. They were given as sin increased (Galatians 3:19), so that faulty views of God and Man would be corrected and reality given back its place. Sin, lies and ideology result mostly from believing wrong things about areas of reality, whether God or Man or life in general. The next day I had opportunities to speak with students and faculty at The Master’s College. That was very interesting and led to a stimulating discussion. Further on during the week a breakfast was organized for a variety of men from the Pasadena area. A lecture with discussion at Lake Avenue Church occupied one evening. I also addressed the Frontier Fellowship at the Fuller School of World Mission. The proposed subject was “East of Eden: The passionate need for compassion". I wanted to stress the need to understand how religions outside of Eden, i.e. apart from the Bible and East of Europe and America, demand submission, obedience and a loss of the human, with tragic consequences to the mind, the body and to life itself. I spoke of the challenge to show how the Biblical view of Man, Mind and Meaning involves more then Jesus in your heart and a shared humility. Our mission is to bring a clearer perspective to the puzzle of life in a confusing world. It involves compassion with those caught in their religion, and passion to bring the healing word of God as a worldview and ethics to our neighbors around the world. On the final evening I was privileged to give the keynote address at a dinner at the Paramount Studio to launch the project of a film series. Our friend Vishal Mangalwadi has invested time, effort and his heart and mind in it. He studied with us thirty years ago in Switzerland, took part in our Convocation on Issues of Relief and Development in Villars and has written a number of important books. The film and TV series is entitled The Soul of Western Civilization and is based on Dr. Vishal Mangalwadi’s forthcoming book Must the Sun Set on the West? In it he explores the Soul of Western Civilization and the results when many in the West abandon historic Christianity and instead turn to Eastern spiritual ideas. During the time in California I enjoyed the warm hospitality of several families and want to thank them for it. I was amazed about the distances to be covered from one place to another, all within one urban sprawl. One reads about it, but the experience is far more awesome. I stopped over in Dallas, where friends and former students opened their home and hospitality to me for a weekend. A lecture in their home and speaking in two Sunday School sessions at Park Cities Presbyterian Church kept me busy, stimulated and entertained. Returned to Washington DC I directed a “Friday Class” at Joanne Kemp’s home for the discussion of a chapter in Nancy Pearcey’s book Total Truth. This coincided with the end of Isaac’s first year at university and allowed me to help him pack up his things for summer storage. He returned there now for the sophomore year. He has had a great experience of interesting courses, good outside lectures, meeting fascinating people and getting familiar with the politics and diplomacy of embassies from various countries. Truth, shadows and deception need to be carefully sorted out. As parents we have much pleasure in his discoveries and always delight in learning ourselves from what he is discovering and thinking about. Several books informed, encouraged and at times entertained us in the past few months. American Vertigo, Traveling America in the Footsteps of Tocqueville by Bernard-Henri Lévy, the French philosopher, who has taken up all kinds of noble causes since turning from Marxism, as one among many foolish ideologies, after 1968. His conversations across the country, his insightful observations, his critical, yet generous exposure to various facets of life, is most interesting. He visits mega churches, and like many Europeans, is intrigued by the friendliness with God, by which, however, so often a lack of real thought is justified. A parallel observation came from a recent visitor: American churches stretch over much floor space; the seats are as comfortable as those in a movie theater. In Europe the churches reach high, the spires and naves are lofty and the seats are hard and straight. Lévy interviews people from both parties, visits prisons and talks with politicians. He contradicts the latent, at times open, Anti-Americanism and admires the US for its ability to avoid centralized power in a few, in the government or a class of people. Individuality, freedom to associate, to critique, an open market are acknowledged as protections against what anywhere else is a tendency to control and provide. We also enjoyed Frank Schaeffer’s Crazy for God. As a memoir of an imperfect childhood it has a personal perspective and will forever be incomplete. 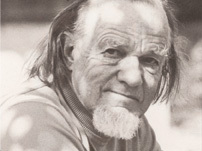 As the author’s apology for opening a door, through which many Christians now reach to misquote, misunderstand and unjustifiably identify themselves with Francis Schaeffer it is very honest, touching, at times funny, and always passionate. Truth with Love by Brian Follis is a thorough evaluation of Francis Schaeffer’s compassionate apologetic: not a method, but a love for people, ideas and the truth of God. It carefully counters recent efforts to turn Schaeffer into a partner of what has become a very narrow perspective in Reformed Theology. He was not a presuppositionalist or simply another political conservative. Each of these designations distorts what Schaeffer pursued all his life and why he does not fit into the common labels: truth and reality, of both God and human beings. I was also impressed by The Widow of the South, a historical novel about one person’s struggle against death and for life during the Civil War, an embrace of people and life, as God does in his effort to redeem a fallen world. We send our warmest greetings and thank you for your kind help and support from time to time.